On Monday, February 18th, the Public Works Department will begin a project to rehabilitate two major segments of Richmond Ave. From Main St to Kirby Dr in District C, and from the 610 Loop to Hillcroft St in District G, Richmond Ave will receive a 1-inch overlay to smooth out the pavement surface, as well as curb and sidewalk repairs. Richmond Ave has long been discussed as the possible future University Line in METRO’s light rail network. In 2013, Mayor Pro Tem Cohen supported the reclassification of Richmond as a Transit Corridor on the Major Thoroughfare and Freeway Plan, which allows the City of Houston and METRO to plan for transit-oriented development and for a multi-modal transportation system along the corridor. This rehabilitation project will provide temporary interim relief for residents until a total reconstruction with the introduction of light rail is confirmed. Construction is expected to be complete in late fall 2019. This weeks recycling pickup for Richwood Place will be on Wednesday January 30th. The Richwood Place recycling pickup will be Wednesday this week. HOUSTON – Please note the following adjustments to the City of Houston’s recycling collection schedule. Due to the schedule adjustments do not place your recycling (green) container at the curb until Wednesday or Saturday. For future updates and collection schedules please visit our website, monitor our social media and 3-1-1 customer service center. Thank you for your patience as we work on resolving this matter. Residents are also encouraged to take advantage of the six (6) neighborhood depositories closest to your home. For more department information visit http://www.houstontx.gov/solidwaste. This says our recycling will be picked up Sunday, January 6. This table shows which block faces in Richwood Place are protected by the City of Houston Minimum Lot Size/Minimum Building Line Ordinances. 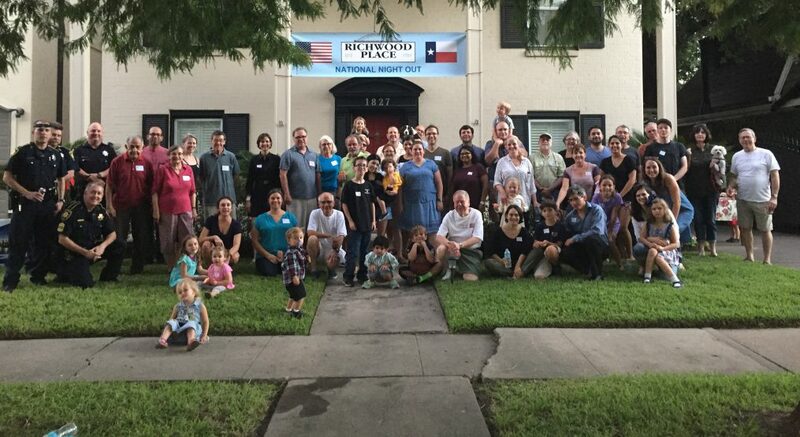 Reminder: Montrose Civic Club Social Tomorrow!